Application of a CAP Coatings intumescent paint system removes the need to replace existing ceilings with the concurrent cost, mess and time implications. Typically a CAP Fire Rated Coatings system can be applied and certified in 3 – 4 days depending on access and the condition of the original walls/ceilings for less overall cost than the alternative. 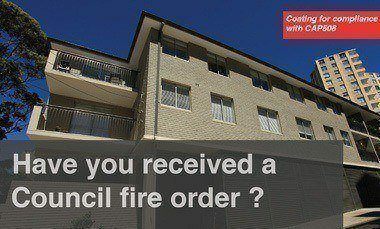 Using CAP Coatings’ fire rated intumescent paint provides a cost effective method of achieving compliance with the Building Code of Australia (BCA) or Fire Orders issued by local government authorities. The CAP Coatings intumescent paint system often includes top coating with an appropriate finish coat. When comparing alternatives, remember to include all the costs incurred when replacing ceilings and/or walls with fire rated linings remember to include the cost of removal of the existing ceiling/wall substrates, installation of fire rated linings, replacement of electrical wiring if required, new light fittings and finally the cost of painting the new fire rated wall/ceiling. CAP Coatings has tested solutions to meet the most common fire resistance levels required by the BCA when upgrading the fire safety of an older building – 30, 60 or 90 minutes. Common solutions include fire rated ceilings, fire rated walls, improving the fire hazard properties of public access ways and reducing the flammability of substrates (eg; polyeurathane foam) leading to a decrease in insurance premiums. CAP Coatings commitment to product development is evidenced by our ongoing testing programme setting the benchmark for intumescent coatings tested to Australian standards. Product testing provides assurance that our passive fire systems meet the requirements of the Building Code of Australia and is essential for local Government and certifier approval. CAP Coatings’ product tests are conducted at internationally recognised facilities including CSIRO’s fire test laboratory at North Ryde in Sydney. It is essential to ensure that test certificates and testing authority reports are current (typically certificates and reports expire every 5 years). Test reports should be from a NATA registered laboratory and to the specific Australian Standard required. If Structural adequacy is required then the test report must be tested under load. Test specimen should replicate onsite structure, ensure substrate tested is the same as what you are intending to use the report for. If you have any questions please contact us we are always happy to discuss. We specialise in working with clients to develop and test solutions that provide intumescent paint fire protection on a variety of substrates. Where the project requires it, we work with the clients and in conjunction with testing authorities, fire engineers builders and project managers to custom produce a tested solution that best meets the clients and fire rating requirements. CAP Coatings ensures that approved applicators have the required experience, knowledge, equipment and understanding of the passive fire requirements to provide an efficient professional and certified solution to the client. CAP Coatings has developed a quality controlled process commencing with project inception through application, certification and ending with ongoing support via the CAPMark RFID system (see below). This has given local government authorities confidence to approve the system when assessing compliance with the BCA. CAP Coatings has completed passive fire protection projects in all Australian States with the approval of the relevant authority. CAP Coatings has an established programme of visiting local government authorities and certifiers to give them the product information to enable them to certify CAP Coatings installations. Information sessions have been held across Australia with more planned this year. Please contact CAP Coatings to arrange a product information presentation to your local government authority or certifier if they would like further product information about CAP Coatings intumescent paints or the CAPMark RFID onsite information system. A key attribute of CAP Coatings Intumescent paint is the thin film build required to achieve a particular fire rating. This is particularly important when fire rating heritage ceilings with ornate cornices and ceiling roses. These can be painted with minimal loss of detail. Low VOC’s also contribute to current environmental and green building standards. It is essential that fire protection systems be documented for ongoing management and/or maintenance. The annual check of fire extinguishers and smoke alarms is familiar to many. CAP Coatings noted the need to develop a robust system to track the ongoing management of passive fire systems and has implemented the CAPMark™ RFID on-site data system. All information stored on secure database accessed through CAPMark portal.